Some people get their artwork hung in the Moma, some in the Met. You? 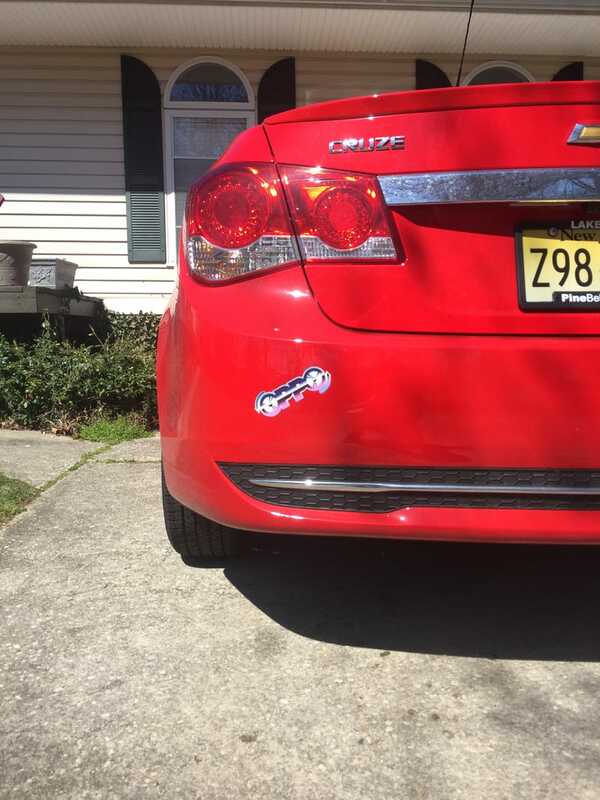 You get your artwork stuck on the back of some Chevy Cruze in Jersey.